Why is it that a British baby that’s 4th or fifth in line for a ‘crown’ that nobody quite cares about fills our channels? Or why the obsession with the other royal family over on this side of the pond? I’m not talking about the Clintons, but the Kardashians. So many important local and global events are unfolding, but we get non-stop coverage of trivia. Here’s a glimpse of what went unreported last week. 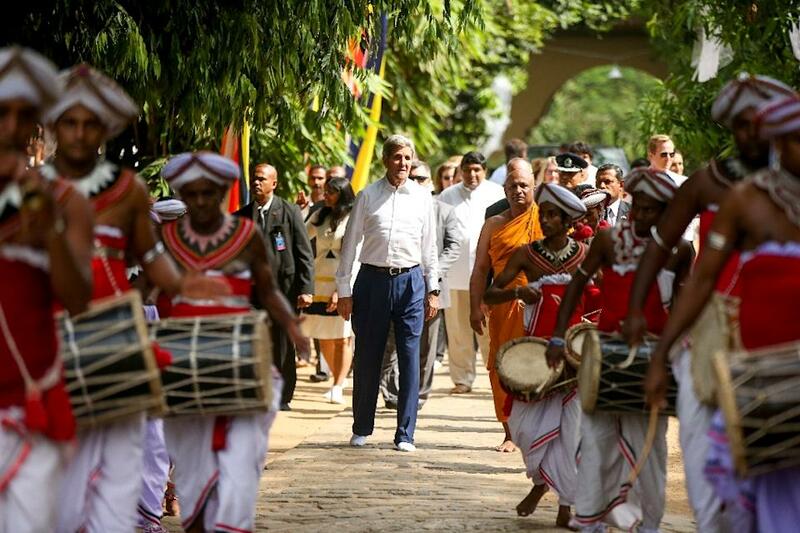 John Kerry walked beside a Buddhist priest – when he visited Sri Lanka last week. A move that may have been a shot across the bow to China. Now there’s a geo-political story connected with that other big trans-pacific partnership. No baby names are involved, so NBC and CBS strike it off their news list. NASA tested a 10-engine aircraft capable of vertical take-off, that could change idea of unmanned vehicles. Interesting, since Amazon seems to think the ‘delivery drones’ are actually becoming more possible. Speaking of which, Amazon tested its spaceship known as the New Shepard Capsule. This from a company where we go buy books and phone accessories! Speaking of books, there’s the Arthur C. Clarke Science Fiction award in the UK, to a young writer, Emily St. John Mandel. It’s been described a novel about the ‘hyper-globalized’ future. Perhaps John Kerry, and Jeff Bezos are reading it right now, while ignoring the Clintons-in-waiting, and the princess of Cambridge, or whatever she is called.